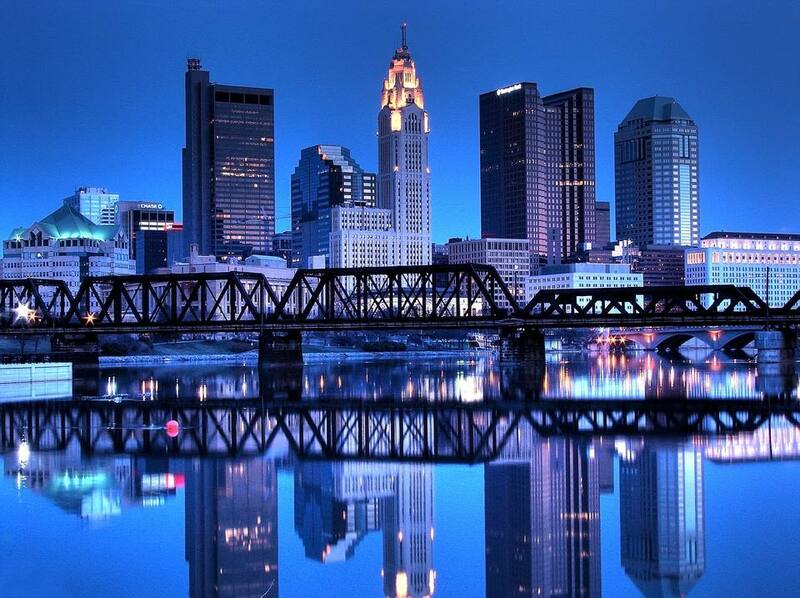 Columbus, Ohio’s capital city, is filled with a level of energy and excitement even first-time visitors can feel it — and the city’s boom extends beyond its rapidly increasing population. With exploding scenes in the arts, fashion, music, and dining, Columbus’s many highlights are as amazing as they are unexpected. Think of the Short North as Columbus’s Champs-Élysées. Named because it’s just north and just short of downtown, the fashionable neighborhood teems with art galleries, elegant boutiques, and restaurants to match every taste. Enjoy the glass, ceramics, or handmade jewelry at Sherrie Gallerie or the ever-changing displays of contemporary art at the Pizzuti Collection, then shuck oysters at The Pearl or savor a filet at Hyde Park Prime Steakhouse. But save room for dessert at Jeni’s Splendid Ice Creams, with treats so sweet they’ve developed a national cult following. On the first Saturday of each month, the sidewalks are packed for the Gallery Hop, with musicians and entertainers on hand to add to the fun. After New York and Los Angeles, Columbus has the third highest number of people working in the fashion industry in the nation. Each October, Fashion Week Columbus features the couture of local and emerging designers in a weeklong series of events. Also in October, couture collides with camp in HighBall Halloween, a runway competition among local designers to top one another’s already over-the-top designs during a season when costume is king. The work of local designers can be found all-year-long in shops like Rowe Boutique, Ladybird, and Kiln Men’s Mercantile in the Short North. With vast farmlands surrounding the city, it’s not surprising Columbus has long been at the forefront of the farm to table movement, but what does surprise many visitors is the amount of international residents and ethnic eateries found in the city. One of the largest Somali communities in the country calls Columbus home with restaurants like Hoyo’s Kitchen offering unique cuisine like chicken suqaar and sambusas. Within a stone’s throw of Hoyo’s are Vietnamese and Brazilian restaurants and Middle Eastern and Asian groceries. For those with a sweet tooth, there’s even a Mexican pastry shop down the street. At the popular North Market, you can pick up waffles at Taste of Belgium, pierogies at Hubert’s Polish Kitchen, or Nepalese dumplings at Momo Ghar. If you want a hands-on sampling of the city, take the Alt Eats tour by Columbus Food Adventures. With its brick streets, Italianate-style cottages and charming streetscapes, German Village looks like it’s been directly transported from the Old World. The entire neighborhood, once the home of German immigrants, is now on the National Register of Historic Places. It’s best explored on foot, where one can serendipitously discover the little gems of shops interspersed through the residential areas. Among the most popular are the famed Book Loft, a true labyrinth with 32 rooms of bargain-priced books, Helen Winnemore’s, where many of its fine crafts are tucked away in drawers, or Hausfrau Haven, with its selection of wines and novelty items. Dining options include Schmidt’s Restaurant Und Sausage Haus, the Spanish-style tapas at Barcelona or the delicate macarons at Pistacia Vera. Be sure to save time for a stroll through verdant Schiller Park — can you find the Umbrella Girl Fountain? Stirring stories abound at the National Veterans Memorial and Museum, which opened in 2018. Take the story of Deborah Sampson, a woman who dressed as a man and fought in the Revolution for 17 months, or actor Jimmy Stewart, who was an accomplished fighter pilot during World War II, flying 20 missions over Europe. The nation’s only memorial to all veterans in all branches of service in the entirety of U.S. history, the museum illustrates the universal experiences all men and women in the armed forces have shared. With three concentric rings swooping upwards with a series of interlocking arches holding tall windows, the astounding structure was named by Architectural Digest as one of the most anticipated buildings in the world in 2018. A somber Remembrance Room and Memorial Grove outside remind visitors of those veterans who made the ultimate sacrifice. Thanks to its Director Emeritus “Jungle Jack” Hanna, the Columbus Zoo is one of the best-known in the nation. Themed areas take visitors on excursions to Africa, Australia, North America, and Asia. Popular family programming includes overnight experiences and behind-the-scenes excursions to the Giraffe Barns, Manatee Coast, and Discovery Reef. A VIP “Journey through the Heart of Africa” invites visitors to drive the zoo’s savanna among grazing gazelles and zebras, while visitors to Dinosaur Island experience dozens of animatronic dinos moving, blinking, vocalizing, and spraying water on passersby. It’s just a six-foot simulated skeleton of a T. Rex, but it is walking in place in the Dinosaur Gallery at Columbus's Center of Science and Industry, presented in partnership with the American Museum of Natural History in New York. Elsewhere, a huge 23-foot long Yutyrannus that’s covered with what appears to be porcupine quills illustrates the latest scientific theory that most dinosaurs sported feathers. The 300 other interactive exhibits are grouped by themes: Ocean, Energy Explorers, Space, Progress, Gadgets, and Life. A state-of-the-art planetarium and the largest movie screen in central Ohio feature revolving programming. Those who feel daring can ride the nation’s only high-wire unicycle. More than 40 micro- and nano-breweries now operate in Central Ohio. A number of them can be found on the so-called Brewer’s Row, connected by the free CBUS Circulator bus. Be sure to get your Columbus Ale Trail passport stamped at each one! Another drinking destination is the Brewery District near German Village named to honor the huge breweries that operated there prior to Prohibition. Nowadays, newer establishments like Rockmill Tavern continue the tradition. Tours can be taken at Middle West Spirits, which produces artisanal vodkas, whiskeys, and gin using Ohio ingredients, while Brothers Drake Meadery, which produces mead from local honey, is a short stumbling distance away. Across town, Watershed Distillery has been producing gin since 2010 with vodka, bourbon, and apple brandy now part of the mix. With a whopping 2.5 million comic strip clippings and 450,000 original cartoons, not to mention tens of thousands of books, magazines, and graphic novels, Billy Ireland is the largest research facility devoted to cartooning in the world. Scholars from all over the world travel to the facility, located on the campus of Ohio State University, to study the artform, while those who just want to see the comics they loved as children can enjoy them in the facility’s reading room. Rotating, themed exhibits are hung in the sizable galleries, and each October, Columbus becomes a mecca for practicing cartoonists and those who love their work at Cartoon Crossroads Columbus where speakers have included Art Spiegelman (“Maus”) and Garry Trudeau (“Doonesbury”). The “Blooms and Butterflies” exhibit inside Franklin Park’s Pacific Island Water Garden is just one experience to be had at this horticultural hotspot. Visitors can also stroll through plant biomes representing the Amazon rainforest, desert Southwest, and the Himalayan Mountains as well as the Victorian-era Palm House built in 1895. Chihuly glass sculptures are scattered throughout the interior and on rooftop gardens, and after dusk each evening, the whole facility takes on an inspirational glow thanks to 7,000 computer-generated LED lights. Outdoors, the botanical gardens adorning the 88-acre Franklin Park include ornamental glasses, conifers, and 850 varieties of daylilies. Opened in 2018, the Children’s Garden includes elements like a Rainbow Garden and Canopy Walk that the kids themselves requested in focus groups. With strong collections of 19th and early-20th century European and American art, as well as an 18,000-square-foot Center for Creativity, especially popular with children, the CMA has the world’s largest collection of works by Columbus-born artists George Bellows, Elijah Pierce, and Aminah Robinson. The artwork of another native son, humorist and cartoonist, James Thurber, will be displayed in a special exhibit from August 2019 to March 2020. (Thurber’s home, now a literary center, is a short distance from the museum.) Innovative programming at the museum includes “Think Like an Artist Thursdays” where participants can create their own artwork while enjoying craft beer, cocktails, and live music. The unique interactive art piece, As We Are, at the Greater Columbus Convention Center, allows each visitor to make a lasting image of themselves that will remain behind long after they’ve left. The 14-foot-high, three-dimensional human-head sculpture is made from ribbons of ultra-bright LED screens and contains a photo booth where guests can step inside to have photos of their own faces taken. When they step outside, they’ll see their own images displayed on the giant sculpture, which will disappear and then reappear in a rotation with the hundreds of other images stored in the sculpture’s database.